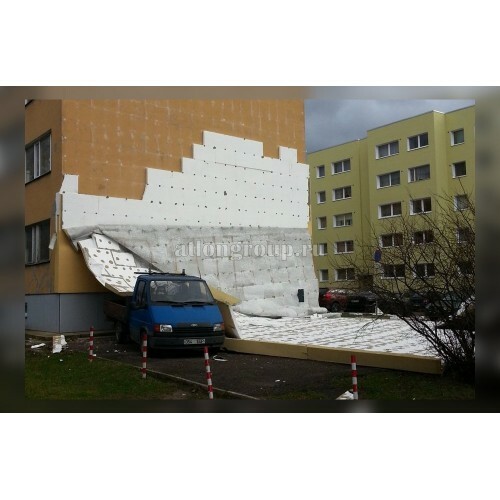 This article is devoted to the system of insulation of houses " wet " way. This system resembles a layer cake. The first layer – thermal insulation (polystyrene or mineral wool), the second – reinforced (plaster and adhesive composition, reinforced with fiberglass mesh); the third-protective and decorative (primer, finishing plaster or putty, paint). The reliability of the facade design, as well as the duration of its service life in many ways depend on the quality of installation. The technology of facade insulation by wet method in construction is not new, but not always the builders observe all the subtleties of the process of work. 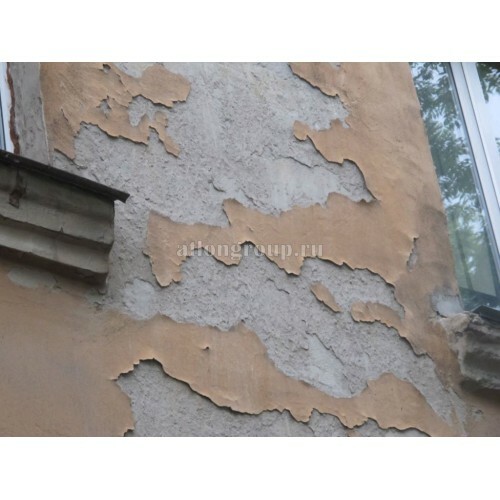 This leads to negative consequences, such as cracks and stains on the plaster, swelling of the facade insulation system, peeling profile, etc.we Propose to consider the causes of such violations. 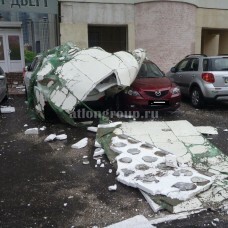 The most frequent defects of the wet facade are cracks. Among the reasons for their appearance – changes in the structure or plaster base (for example, if a house Deposit), an insufficient degree of readiness of the surface plaster, it was too hard, the main plaster coating etc. the Cracks are vertical and horizontal, as well as in the form of mesh, for each of the types of lies its error. So, smooth vertical or horizontal cracks on the finish layer of the facade-this is evidence that in these places there was a violation of the rules of reinforcement with fiberglass. According to the technology, on the edges of the installed grid should make overlaps of adjacent canvases on each other at a distance of about 100-150mm. 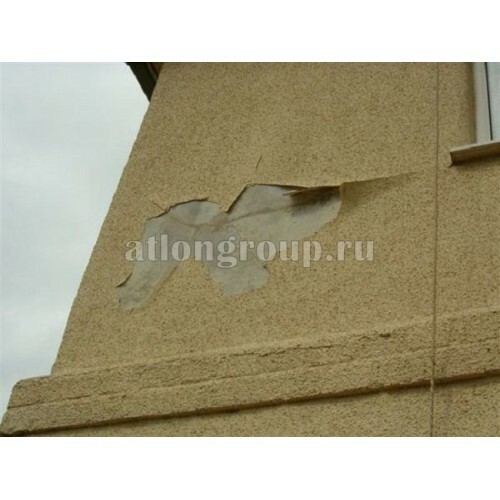 Cracks appear on non-reinforced overlapped areas of thermal insulation. If the cracks are long, it usually suggests that have been used the grid is not designed for plaster facades. Reinforcement of the base layer should be carried out only with the help of a special alkali-resistant fiberglass mesh. This is due to the fact that the pH value for mineral adhesives, used as a base layer, is usually more than 12 units. Not resistant mesh in such conditions simply dissolves, which inevitably leads to cracks on the facade. Short breaks of the reinforcement and finishing layer are formed because the insulation plates are not fixed to the bearing wall. 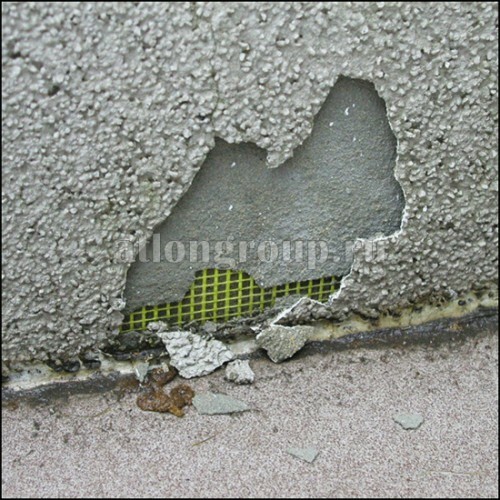 The same reason may be air gaps in the joints of plates and filling such gaps adhesive composition. Natural temperature deformation of the structure can cause massive long breaks on the facade, if the insulation system is no deformation seam. The resulting stresses in the linear expansion of the structure break the entire insulation system. Often on facades there are cracks in the form of a web and there is a peeling of a plaster layer. It is caused by violations of reinforcement of heat-insulating plates: the front grid wasn't drowned in the put adhesive solution, and is established directly on plates of thermal insulation. Short diagonal cracks at the corners of window and door openings appear due to the fact that additional reinforcing elements from the fiberglass were not used. 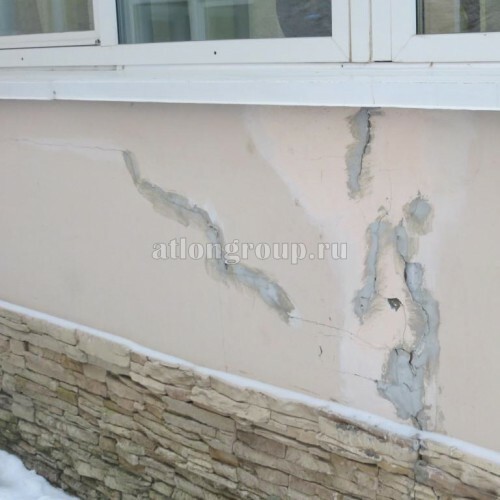 Another "disease" of facades-swelling of the insulation system occurs due to the penetration of moisture under the layer of insulation and poor fastening of thermal insulation boards. Moisture ingress occurs more often due to errors in the calculation of the thickness of the insulation and the use of plasters with low vapor permeability to cover fibrous insulation. Error in the bonding of the insulation occur when the plate is mounted on is not prepared, not reason; cause insufficient amount of adhesive or glue do not use and fix the stove only dowels. Sometimes spots appear on the facade. This may be due to various reasons. Thus, uneven application and grout of the finish layer lead to the formation of randomly arranged textured spots, significantly reducing the aesthetics of the building. Rust stains can appear from application of not qualitative cores of front dowels. In spring and autumn, brown phenolic spots may appear on the facade. The reason for their occurrence lies in the wrong thermal calculation of the system or use for insulation is not special facade mineral wool plates, and insulation designed for soft roofing. Whatever you do not have such problems, you should choose high-quality materials, and the work is entrusted to qualified professionals who will ensure full compliance with the installation technology.